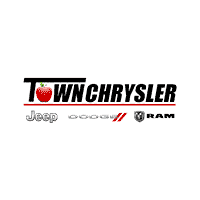 Use Town Chrysler Jeep Dodge Ram’s handy payment calculator to estimate your monthly auto loans on your next new or used vehicle purchase. Whether you’re interested in a new Jeep Grand Cherokee, a new Dodge RAM 1500, or one of our many used vehicles, our easy-to-use payment estimator will reliably calculate your monthly loans. If you have any questions about leasing or financing, the car payment process, or your monthly auto loan rates, simply reach out to our Wenatchee finance center. Our experts will treat you like family. At the face of it, our payment calculator is pretty easy to use. But it’s worth giving a step-by-step guide, so Ellensburg drivers know how to best estimate their auto loan rates. Type in your vehicle’s estimated price. Keep in mind that if you’re benefiting from our many deals and specials, your prices may be lower than the traditional sticker price. Enter in your interest rate, and adjust it if needed. Enter in your loan term, and adjust it if needed. Enter in your down payment. Fortunately, for Ellensburg and Moses Lake drivers, we strive to offer low down payments on our vehicles, so this added expense shouldn’t be much of a headache. Enter in your trade-in value. If you don’t know your old vehicle’s trade-in value, simply use our value your trade tool. There you have it! You’ve estimated your monthly auto loan payments using our payment calculator. If you have any questions about your estimated loan or lease payments, contact us today. Or, if you’re ready, apply for financing online!